Full set of All 7 UV Nail Polish. 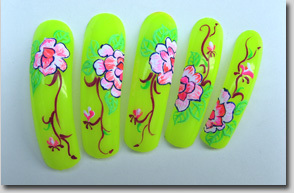 Gorgeous bright fluorescent colors in normal light. All colors glow bright color in blacklight.